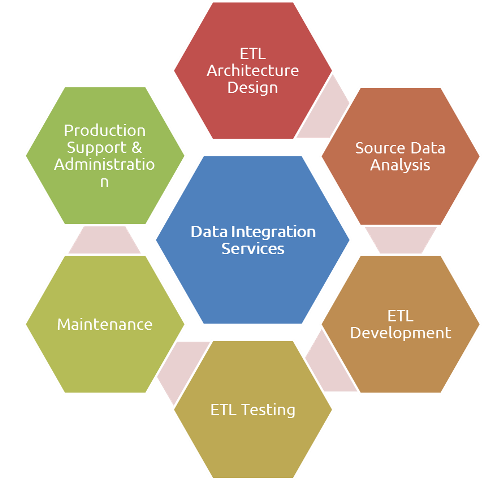 Data integration involves combining data residing in different sources and providing users with a unified view of them. This process becomes significant in a variety of situations, which include both commercial and scientific domains. Through the use of our data integration services, customers can derive maximum value from all their corporate data while simplifying and lowering the costs of their IT efforts. Combining similar data from multiple sources sounds simple but has become a major challenge in organizations due to the sheer number of disparate data sources and volumes of data that exists. Add another level of complexity with unstructured data formats and companies are now faced with the real challenge in today’s competitive marketplace. At the same time, effectively capturing, managing and leveraging data to derive meaningful business intelligence (BI) is a major requirement for enterprises today. In order to successfully guide both current and future decisions, all levels of management must have control over their data and the business metrics it creates. We can help your organization attain and manage consistent and transformed data throughout your organization through the use of state-of-the-art ETL tools. Starting from source data system analysis to performance centric data loading processes, we leverage our expertise and experience to get your data organized and available for data analysis by the business user community. The result is a 360 degree view of your business with automated tools that allow you to access any type of data (structured or unstructured) from virtually any source.